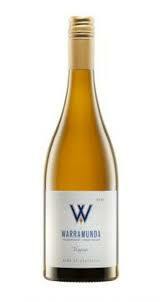 There is a less is more approach to most of the whites from Warramunda with elegance and structure winning out over brash expressions of fruit and oak. This wine came out at 12% and gives gentle apricot aromatics with straw and the faintest honeyed note. The input of oak gives a flintiness to tightly bound apricot and peach before a lemony acidity cuts through, defining both structure and underwriting longevity. There are layers of texture to finish with richer stone fruits met by understated grapefruit and meyer lemon.